We are back after another week long absence…hopefully that wont happen again for a while. This week we have reviews for James Wan’s Insidious: Chapter 2, Michael Todd Schneider’s His Devil’s Night, Richard Raaphorst’s Frankenstein’s Army and we take a look at Synapse’s new blu-ray release of Tom Jeffrey’s 1979 Vietnam War film The Odd Angry Shot! We also give a run down of our first convention as guests, Shock-A-Con. 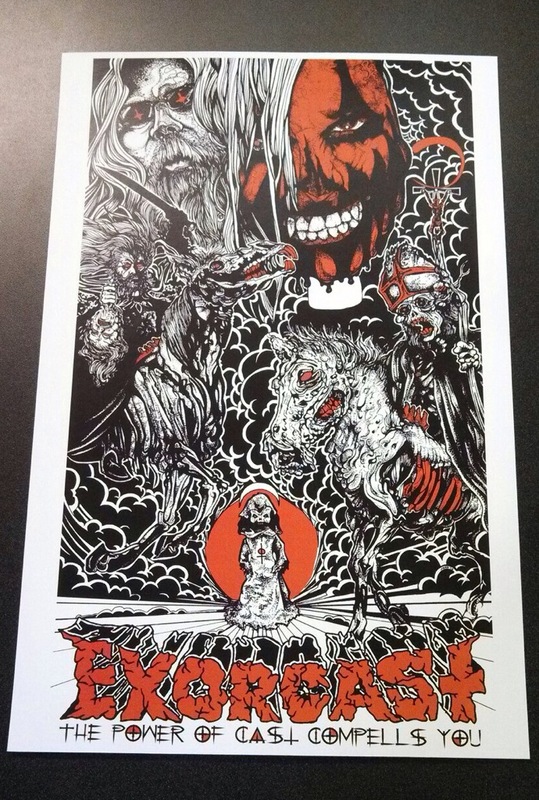 We also have some left over Exorcast posters that are limited to 50 prints. They are for sale for $10 over at our web store exorcast.bigcartel.com All the money we make will go back into the show for webspace, awesome new stickers and tee shirts in the near future! Also, a new mic! Limited Ed Poster Now On Sale! Our poster designed by Terry IFERN Owens (ifernsaves.com) is now available and is limited to 50 copies. We are very excited about this poster and to be able to work with Terry! The poster will be $16 shipped in a tube. You can go directly to our online store at exorcast.bigcartel.com. This week we are back and better than ever…well not really but we are back! We have reviews for James Wan’s Dead Silence, George Smith’s Zombie Exs sent to us by Alternative Cinema and Terence Fisher’s Hammer classic Dracula: Prince of Darkness send to us from Millennium Entertainment (@TheHorrorChick). We also deliver last rites to Adam Simon’s 1990 Brain Dead starring Bill Pullman & Bill Paxton!